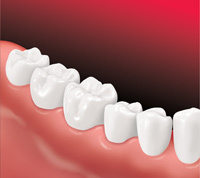 When the permanent bridge is ready, the dentist fits, adjusts and cements the bridge to the prepared teeth. 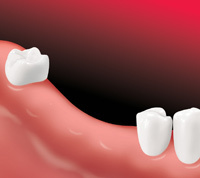 This type of bridge is permanent and cannot be taken out of your mouth without a dentist's help. 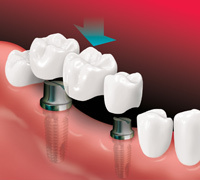 • A key benefit of implants is that they don't need support from the surrounding teeth. 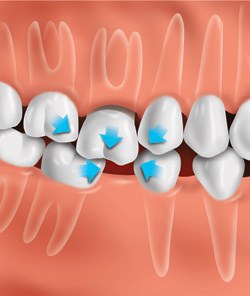 • Implants may be placed in one day or might require multiple visits depending on your dentist's treatment plan. 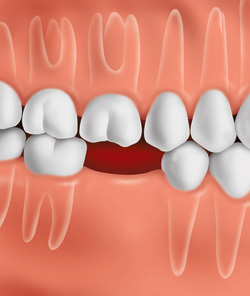 • Look for oral care products that have the ADA Seal of Acceptance. Products that display the Seal have met the American Dental Association's standards for safety and effectiveness.